"Monica has been a resident of Liberty County, Georgia for the years now. She entered the world of real estate after going through the homebuying process and missing out on the, at the time, home of their dream due to business errors and lack of knowledge on their part. This was an eye opener for her family, so she went to real estate school to make sure that others didn't lose their dream home in the same manner that they had. Monica has committed herself to being a source of inspiration and the key holder to, both, hearts and homes. 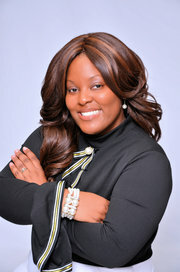 She is dedicated to helping individuals and families sell homes that they have outgrown or no longer want and buying the homes of their dreams. She intends to make the process stress-free for the client and more rewarding in the end. As a wife, mom of three, and retired Army veteran, Monica knows the value of a home. She is motivated and goal driven. She is ready to work hard for anyone who may be ready to make their next move. "